Goodwood - Rakish Bugatti Type 57SC Set To Fetch $13,000,000 At Bonhams? Classic motor vehicle auction house Bonhams has just announced the addition of an extremely important Bugatti to its second annual Amelia Island Auction next month – a 1937 Bugatti Type 57SC Sports Tourer with rakish one-off coachwork by Vanden Plas. This highly desirable Type 57SC is a very well known and documented car by Bugatti experts. With its exclusive Vanden Plas bodywork – very reminiscent of other 1930s sports tourer on other chassis by the London-based coachbuilder – this Bugatti – chassis number 57541 – is regarded by many as among the greatest and most collectible of all pre-war motor cars. With only a handful of Type 57SCs ever created, this model very rarely becomes available for sale, as they tend to be locked-up in some of the finest automobile collections around the world, cherished by some of the greatest names in car collecting. Rare, luxurious and extremely fast, the Type 57S was widely considered to be the ultimate automobile of its day, with its sophisticated surbaissé low-slung chassis, dry sump lubrication and distinct V-shaped radiator. Virtually a Grand Prix car in touring guise, nothing else in the world compared. 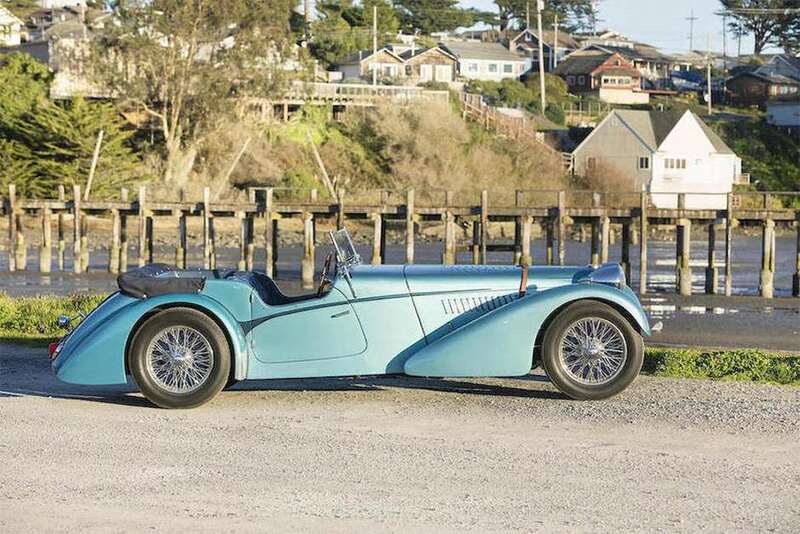 This important and charismatic Bugatti will be offered for sale by Bonhams on Thursday 10 March 10th at the Fernandina Beach Golf Club on Amelia Island in Florida, conveniently scheduled to coincide with the Amelia Island Concours d’Elegance activities. The car is carrying an auction sale estimate of between $11million (£7,671,000) and $13million (£9,007,000).